We started skiing Sugar Bowl when the kids were learning to ski in 2001 and skied there off and on for the next 2 seasons. 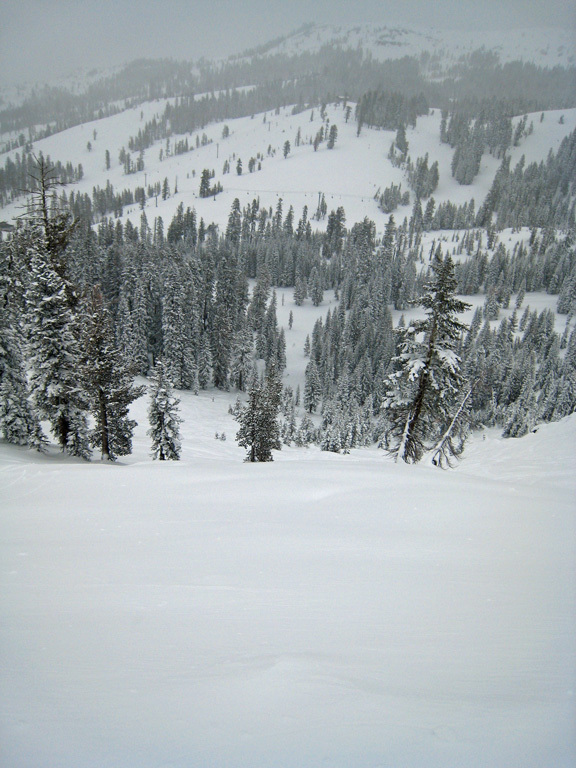 During the 2007/2008 season I (Ron) had a season pass to the resort and enjoyed a bunch of great powder days. Sugar Bowl is one of the quickest resorts to get to from the Bay Area via I80, which is why I had a season pass there in 07/08 when we had rented out our South Lake Tahoe house for the winter. 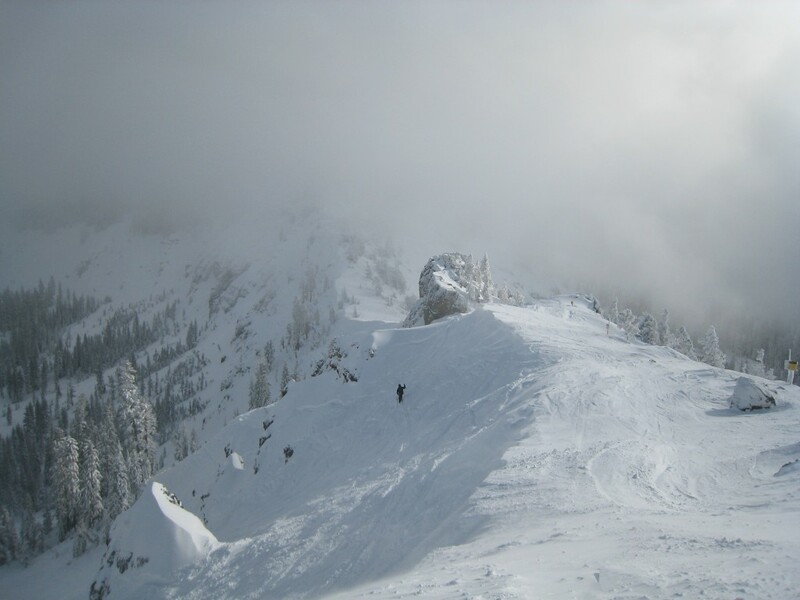 It is also known for getting more snow than any other of the North Lake ski resorts. It’s a pretty compact area which makes it easy to get around and great for families. Last time we were there there were really only 3 main ski pods even though there were 13 lifts on paper. For 2013/2014 they just added the Crow’s Nest chair which adds another small pod with 1 new groomable run and some steeper bump and tree terrain. The Mt Judah/Jerome Hill area has easy parking lot access and is the most popular place to start the day. The runs are fairly long and not that steep. The newest lodge is at the base area there, and it has a lot of snowmaking coverage so that’s where the early season runs are. After a couple of runs on Judah, we like to head over to Mt. Lincoln, which is the main attraction at the resort. There is some seriously steep terrain to skier’s left off the top. To the right there are some long steeper blue runs. We usually finish the day on the Disney lift, which accesses some shorter groomers, but also some of the most interesting terrain on the mountain. 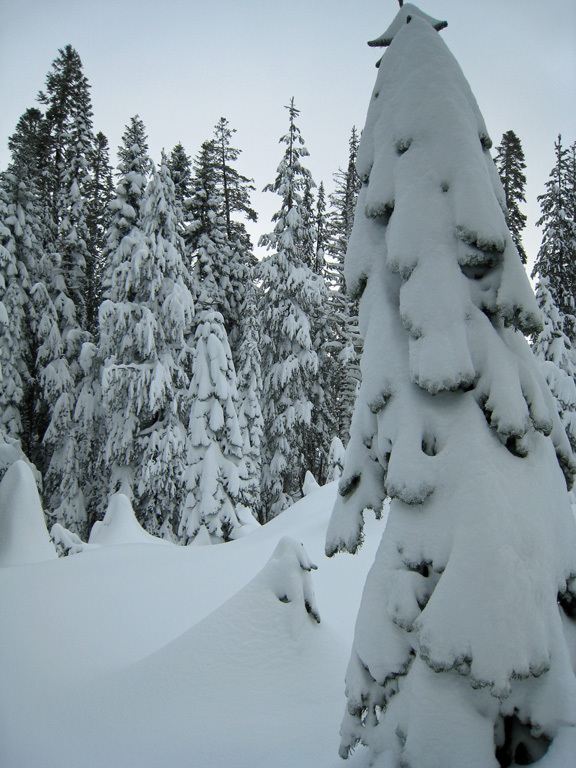 The Sugar Bowl run and Strawberry Fields were some of our favorite powder stash’s on a powder day. This next season (13/14) will see a new lift on Crow’s Nest, which should be an interesting addition, but which will mean that Strawberry Fields is going to be tracked out very quickly. 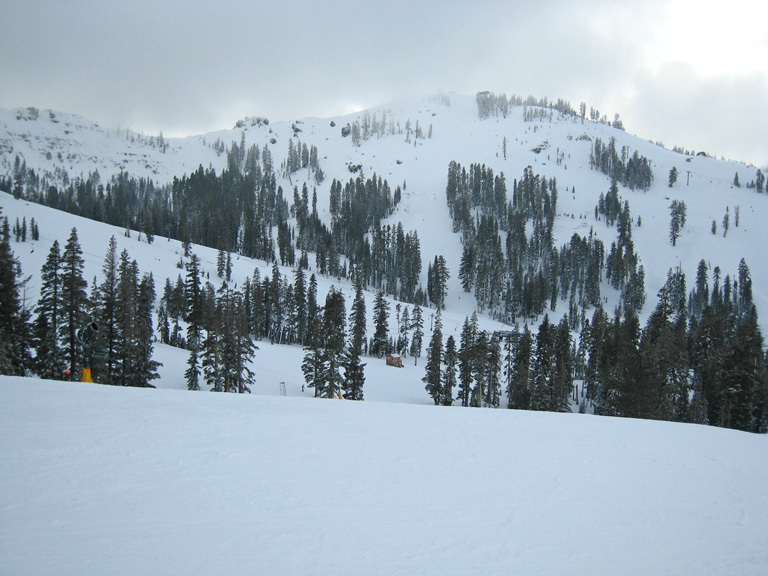 The top elevation of Sugar Bowl is only 8,383 ft, which is a bit low compared to many other Tahoe resorts. The vertical is only 1,500 ft, which is not that much to work with. There is a general lack of consistent pitch groomers. Most are rolling with steep and flat spots, with lots of intersections. The only way to access the groomers off Lincoln is down a windy, icy run on the shoulder of the mountain which fans out to the better terrain. This is a minor point, but they run a ski academy for kids there, and they tend to ski in very large crazy groups. The lodge at Mt. Disney is ancient and could really use an update. That makes Judah the main option and it’s sometimes very crowded. The Sugar Bowl run on a powder day. Not a lot of people seem to be willing to traverse over there, and the exposure is such that the powder collects in there and is completely shielded from wind. 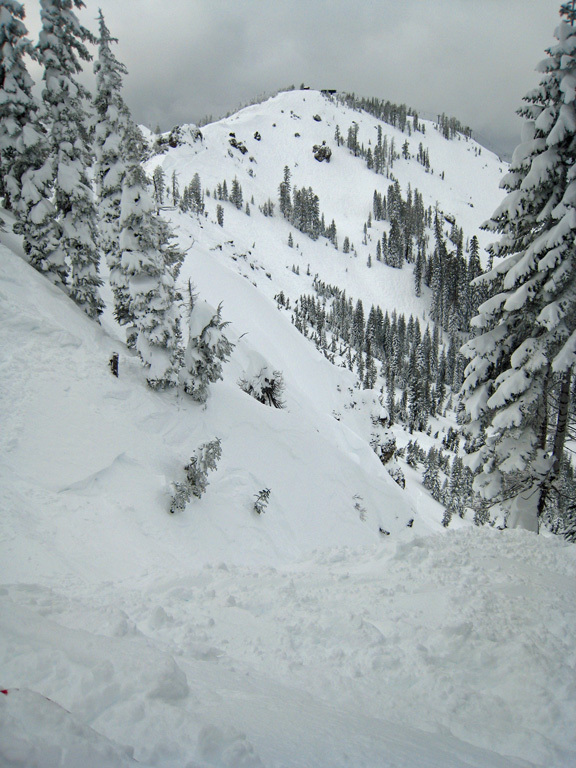 Multiple deep powder runs with mostly untracked snow several times in 2008. Yes, but it is probably not going to be any time soon since we spend our time in South Lake these days. 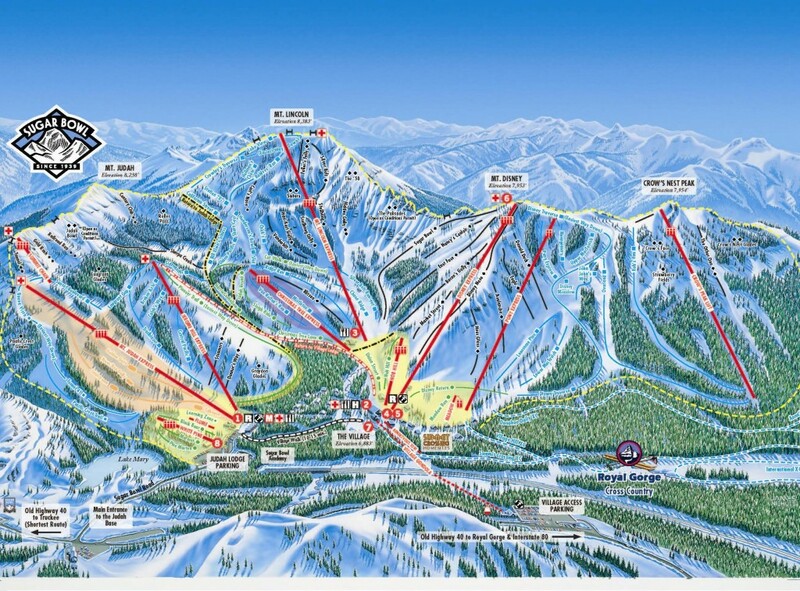 Northstar and Squaw have so much more to offer and are closer to us.